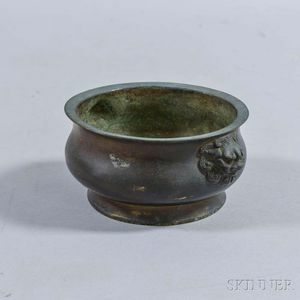 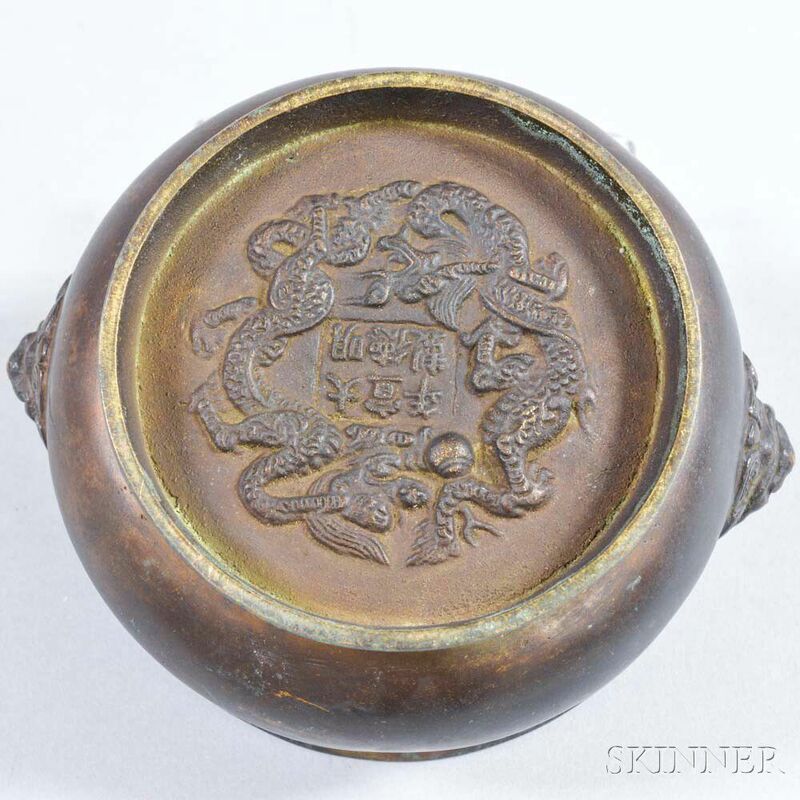 Bronze Censer, China, squat round with a flaring rim, on a short stem foot, with two carved lion head knobs, the base with molded dragon roundel with six-character Xuande mark on base, ht. 2 3/8, dia. 5 3/8 in.